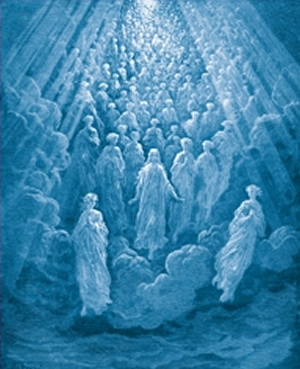 The Spiritual Hierarchy serving the Earth is made up of Cosmic Beings, Angels, and Ascended Masters. 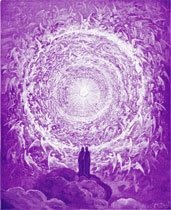 Ascended Masters are individuals who have attained the Victory of the Ascension and are in "Heaven" (the upper Divine Octaves). The Great White Brotherhood, also known as the Brotherhood of Light, is made up of these, as well as their unascended disciples (chelas) and adepts in the lower octaves (lower planes [levels] of atomic structure). Divine Beings (Individualizations of God - THE ONE) have assisted the Earth since Archangel Michael led the coming of the First Root Race of the Sons and Daughters of God into Incarnation. This was a much more distant time before the "fall of man" and the later efforts by the Holy Kumaras in the founding of the Great White Brotherhood with the goal of awakening every person to the Divinity within them. Sanat Kumara and the other 6 Kumaras established the headquarters of the Brotherhood of Light on the Earth 4 and 1/2 million years ago at Shamballa, an island in the Gobi Sea (now the Gobi Desert). Various world religions were sponsored in different cultures and eras to focus the attention of the people upon some aspect of Divine Reality. Branches of the Great White Brotherhood were established throughout the world under the old "occult law" for the furtherance of the "Divine Plan" in the various cultures and Root Races. "Secret Societies" or "Mystery Schools" had to be formed throughout history in order to convey higher Spiritual Teachings which, if made public, could result in persecution or execution for going against established superstitions, doctrines, or dogmas.
" . . . Beloved children of Earth, you stand upon the Threshold of the Ages. Its door is being held open by the 'Great Ones of Love' who ever invite you to walk consciously by their side in the — 'Light.' No matter what the activities in the world without, walk with the 'Light' and in the 'Light' — regardless of appearances. Then, will you find a Master of the 'Light,' who has trod this self same path before you, ever watches and stands by your side revealing the 'True Way.' The Cycle changes and we enter a 'New Dispensation' that brings with it a safer, more powerful, and yet rapid means by which the one climbing the Path to Attainment is enabled to hold Permanent Contact with the 'Great Cosmic Light'." 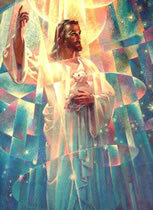 The establishment and expansion of the "I AM" Activity by Ascended Master Saint Germain through Guy and Edna Ballard in the 1930's led to the release in great detail of a number of Teachings that were believed to have not previously been known in such clarity and precision outside of the Masters' Retreats and Temples or in "secret societies" and "Mystery Schools" sponsored by the Great White Brotherhood. In other words, "occult law" ended and this Spiritual Wisdom was now made freely available to all who cared to learn the True Nature of every man, woman, and child as ''Individualizations of the Most High Living God'' that have Incarnated into the lower matter planes. The Great White Brotherhood is a Spiritual Organization composed of those Ascended Masters who have Arisen from our Earth into Immortality, and yet have said: "We are not going on into Cosmic Heights and leaving our brothers and sisters on Earth behind. We will stay and assist." At this moment in Cosmic History, the Door is wide open. The Great White Brotherhood has been sponsoring the Release of the Spoken Word through conclaves, seminars, writings, books, and through personal discipleship and training. (7) They are releasing the full Teachings that the Dispensations of Cosmic Law allow at the dawning of the Great Golden Age of Saint Germain. Meditation music: "Auld Lang Syne"
Copyright © 2012 by Ascension Research Center with the exception of credited quotations. Third party material used on this website is quoted for the purposes of scholarship and research from sources which are either in the public domain, or within the bounds of fair use. Disclaimer: This website has not been endorsed by any author or copyright holder of the works discussed. No connection is implied nor should be inferred.